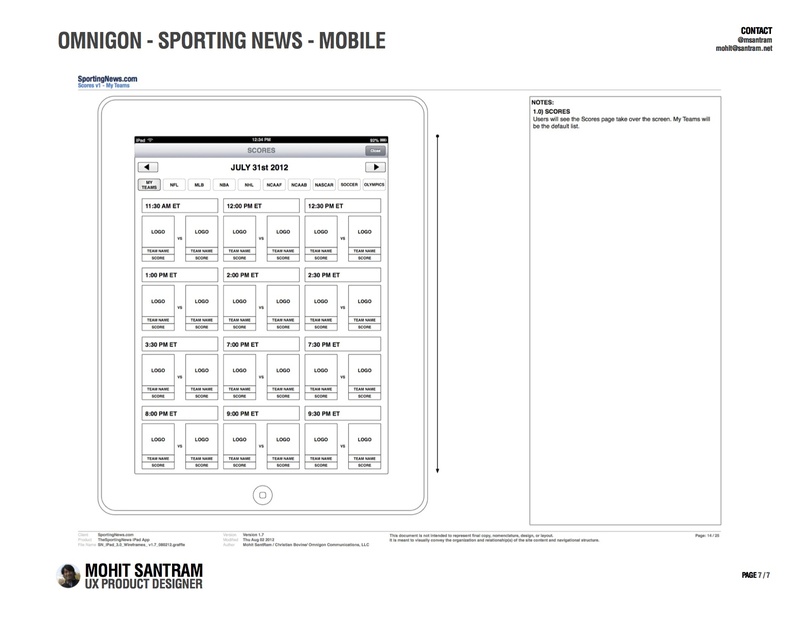 Over the course of several years, The Sporting News engaged Omnigon, with whom I had been working upon several other projects, to deliver solutions to multiple problems within their digital landscape. 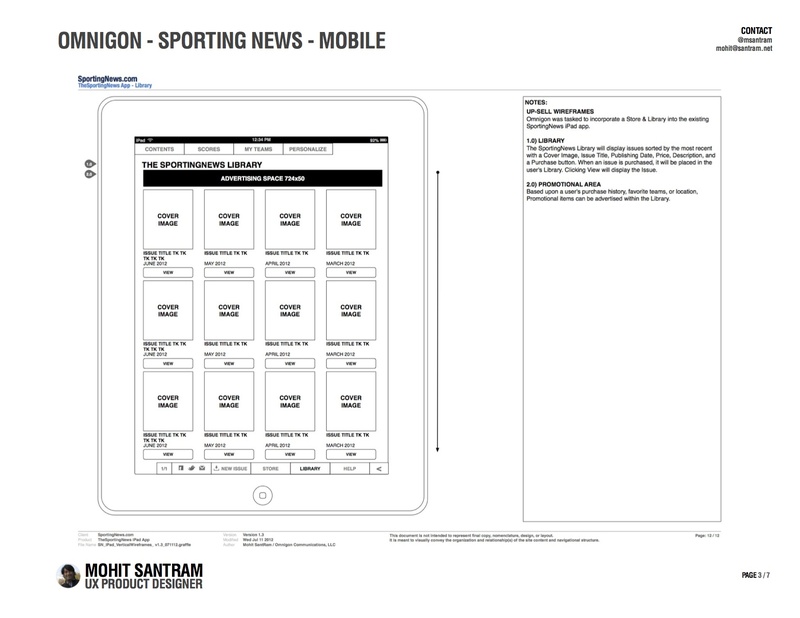 From 2010 to 2012, as part of the Omnigon team, we worked to redesign, rebuild, and reimagine many of The Sporting News’ digital offerings. 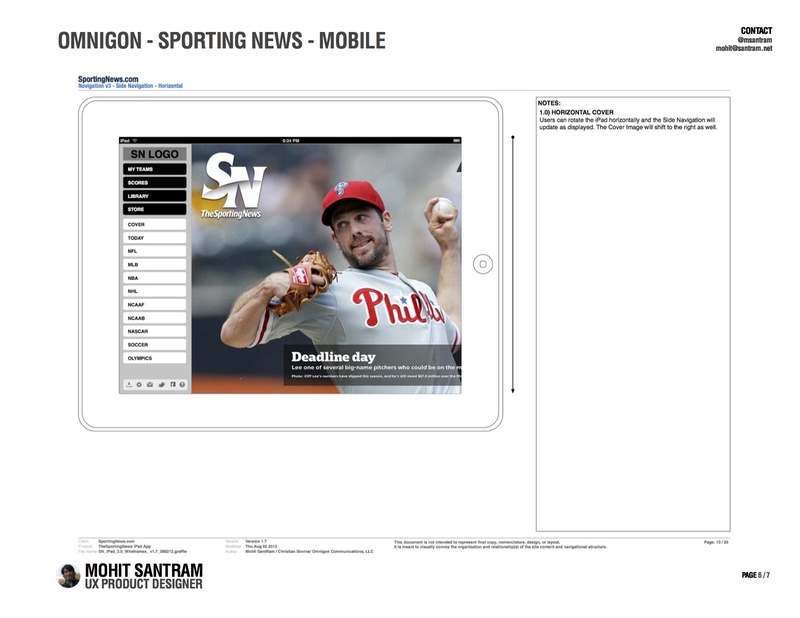 I directly worked upon the redesign Sporting News website, iPad App, newly proposed and redesigned product concepts, and digital strategy reports. My role as Senior IA & UX Designer was to help guide the client through the analysis, concept, redesign, and analysis processes. 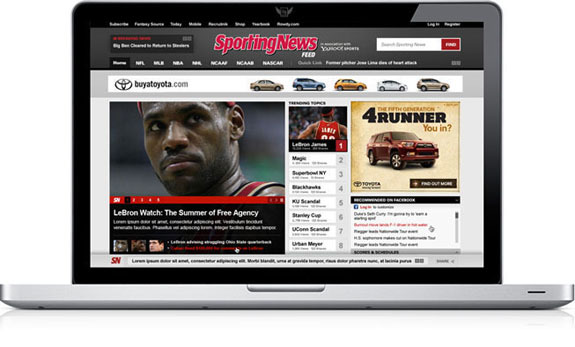 In 2010, The Sporting News approached Omnigon to deliver a compelling new online home for The Sporting News without creating another scores and schedules focused sports portal. 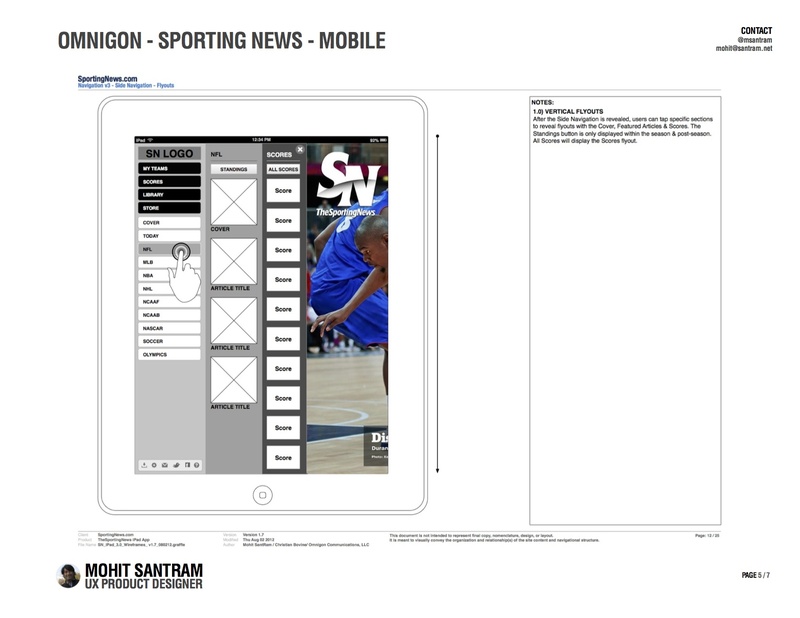 The Sporting News looked to Omnigon to provide guidance, research, and digital expertise to help solve their problems. In 2012, they asked us to redesign their iPad app to help drive upsell subscriptions to their users. When The Sporting News began talking about redesigning their web site, they had already given great thought to who they were as a business and the unique qualities they brought to the sports information space. In the digital realm they sought to focus on what they did best, cover the details of a sports story, while creating a shift in the way that fans consumed sports content. 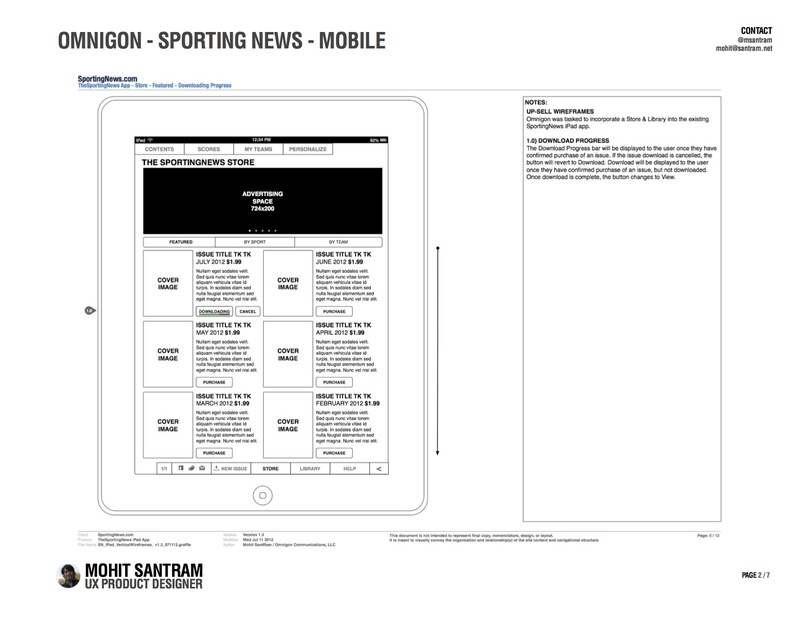 For the SportingNews.com, the Omnigon team focused the site redesign initiative on the organic nature of each story and the importance of creating the kinds of connections that would allow visitors to follow and consume the way they chose to. This approach incorporates covering the story from 360 degrees, providing the story angles and interpretations that only multiple perspectives can provide. My processes and contributions were focused upon delivering formalized research and analysis as part of Competitive Analysis reports, Sitemaps, Information Architecture, Sketches, Wireframes, and Documentation. As a member of the Omnigon team, we worked side by side with The Sporting News team to create an experience that focused on being the center of the sports storytelling universe. 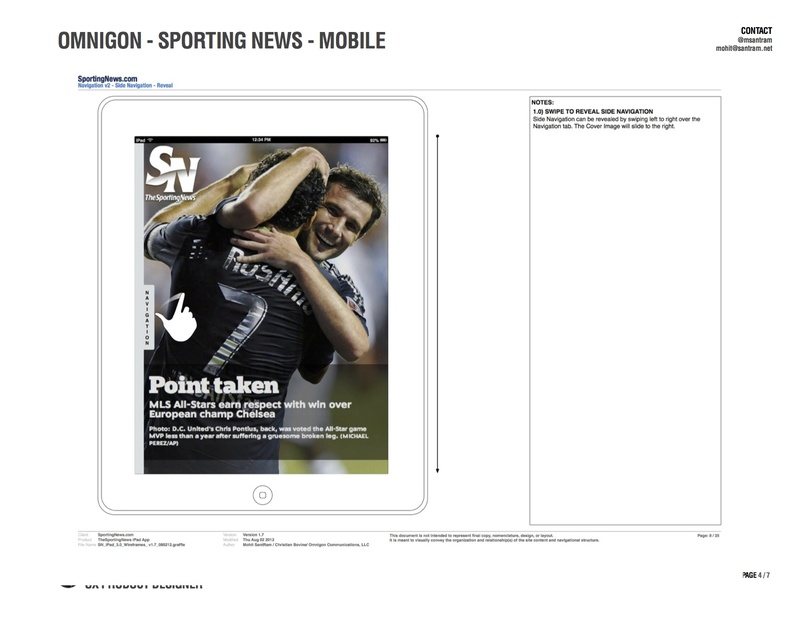 Omnigon provided not only a new visual system for the site, including social media outlets and The Sporting News feed, but designed the experience while considering a backend content aggregation tool that helps editorial staff in separating threads from the basic sports stories of the day. Among the unique components on the new site was a feature in which stories were accompanied by an interactive timeline that allowed users easy access to prior related stories in a sequential fashion. Our research and documentation work was presented to The Sporting News team to help them develop and implement a strategy to engage Facebook users as well as to redesign the iPad application to better serve content and upsell users to purchase subscriptions to The Sporting News. 4. Sporting News Facebook Strategy Report.